We’re working hard to keep the Bronx vibrant and encourage prosperity for our neighbors. The Congressman and the CDFI Fund are important allies in that work. U.S. Congressman José E. Serrano will join management and staff of Spring Bank at the bank’s headquarters in the Bronx, to highlight the mission and contributions of the community bank to economic development in the 15th Congressional District. Congressman Serrano will also discuss the important support provided by the U.S. Treasury’s Community Development Financial Institutions (CDFI) Fund for economic activity in underdeveloped and distressed communities. Joining the Congressman will be representatives of two of Spring Bank’s Bronx based small business customers. Congressman Serrano will present the businesses with certificates of appreciation for their contributions to the economic health of the 15th District, the Bronx, and New York City. Spring Bank will also announce plans to pilot an affordable consumer credit program. Tentatively called “Borrow & Save,” the program is based on a program recently piloted by the FDIC, and will be designed to meet the demand in low income areas for small consumer loans to fill emergency needs or bridge gaps between paychecks. An ethical and affordable mainstream answer to predatory credit products, Borrow & Save will help steer low income and low asset consumers away from a cycle of repeat borrowing, and encourage asset building and entrance into the financial services mainstream. The program’s launch will be the fulfillment of a core strategic goal of Spring Bank and is supported by Spring Bank’s two consecutive annual Bank Enterprise Awards from the U.S. Treasury’s CDFI Fund. Time: Arrive by 9:15 a.m. Start at 9:30 a.m. Directions: 4 or D trains to 167th St. Bank is located at corner of 167th St. and Gerard Ave.
U.S. Representative José E. Serrano represents the Fifteenth Congressional District of New York in the Bronx. He is the only Congressman from New York City on the exclusive House Appropriations Committee and serves as Ranking Member of the Subcommittee on Financial Services and General Government . Founded in 2007 to serve New York City’s underbanked, Spring Bank is an FDIC-insured, independently owned community development bank and certified CDFI headquartered in the Bronx, New York. 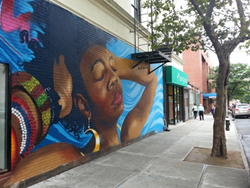 In December 2012, the Bank’s second branch opened in the Harlem community of Manhattan. Since its founding, a primary mission of the Bank has been to provide the products, services and education that enable low-wealth customers to benefit from mainstream banking. Spring Bank is equally committed to stimulating and supporting small business growth through deposit and loan products. The majority of Spring Bank lending goes to businesses in the five boroughs, with a significant portion designated for low and moderate income census tracts. The Bank provides a wide range of innovative deposit and lending services, many with superior rates. Spring Bank’s dedicated SBA loans division is one of the busiest in NYC, with the Bank recently being rated among the 100 most active SBA 7(a) lenders in the country.